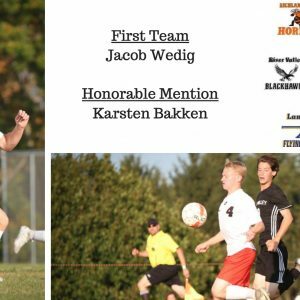 Three Pointers earned SWC All-Conference Soccer accolades. 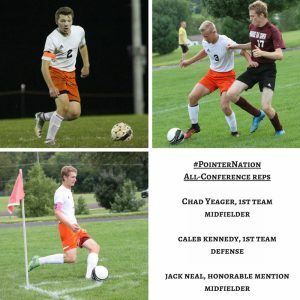 Chad Yeager was named a First Team Midfielder and Caleb Kennedy was a First Team Defender, while Jack Neal was a Honorable Mention Midfielder. 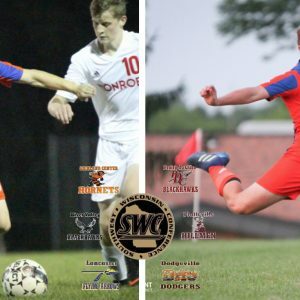 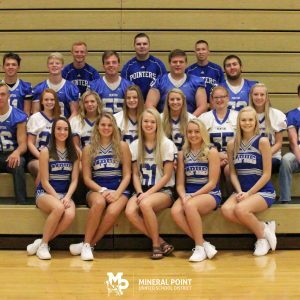 Other Dodge-Pointers who earned all-conference honors include: Second Team: Shane Carroll, Forward; Isaac Nagel, Midfield; Thomas Steil, Defense; Ben Radosevich, Defense.